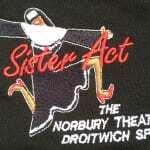 Empire Embroidery goes to the musical Sister Act. 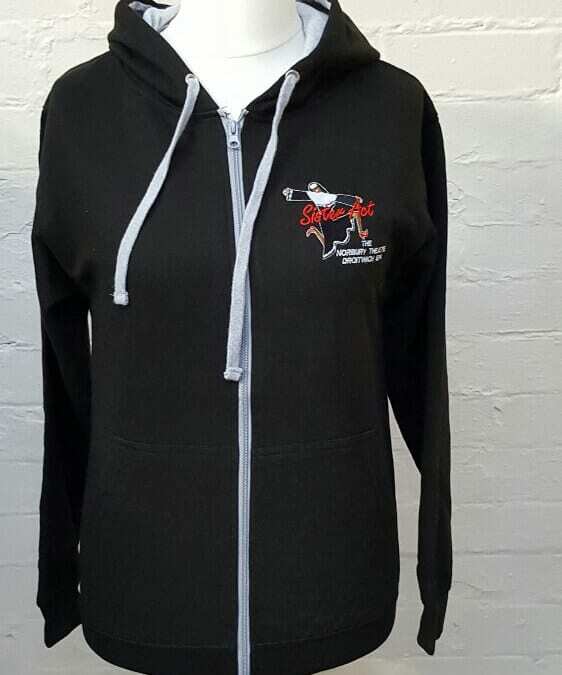 Personalised promotional clothing for local theatre. 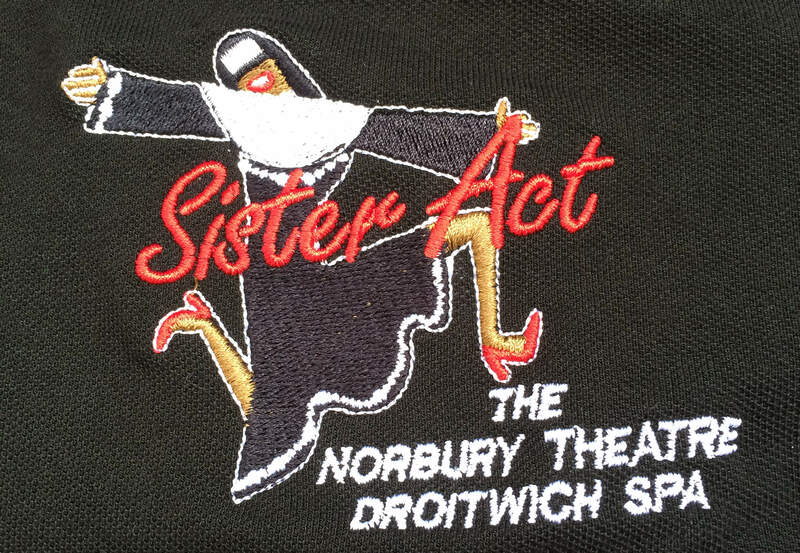 The Norbury Theatre in Droitwich is preparing for singing and dancing as their production of ‘Sister Act’ takes to the stage. The cast and production team will be looking good in a range of Empire Embroidery supplied hoodies, t-shirts and polo shirts as they refine their talents ready for the big night. To see this uplifting and ‘singalong’ production, take yourself along to the Norbury Theatre in Droitwich on Wednesday 12th, Saturday 15th , Wednesday 19th and Saturday 22nd of October. Empire Embroidery in the finest theatre tradition, say ‘break a leg’ to all those involved. If you have an event to promote, there is no better way to do it than through customised embroidery, personalised for you and your event. If you would like to know more, contact Empire Emproidery for specialised and professional advice.